We only offer Volkswagen Original Parts, which represent a standard of quality and engineering that only Volkswagen Canada can authorize. All Volkswagen Original parts come with an unlimited 2 Year/unlimited km warranty and labour for repairs and/or service is standard at our dealership. Personalize your Volkswagen to reflect your style with products from our full range of Volkswagen Original Accessories. 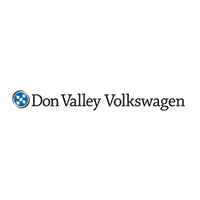 Don Valley Volkswagen will keep your Volkswagen running like a Volkswagen!